Sometimes in my job you could be forgiven for wondering whether you are dealing with science fiction or science fact. Of course, it’s always science fact, but the range of ways in which space technology touches our lives is truly amazing. 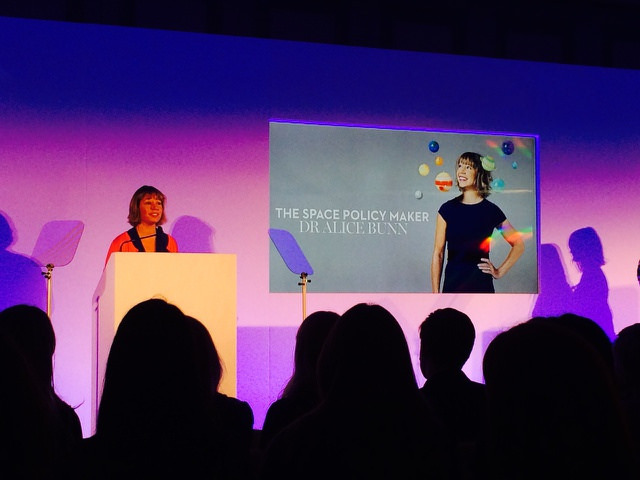 As director of policy at the UK Space Agency, I often speak publicly about our space programmes. Recently, this has meant talking about the Rosetta mission to land a probe on a comet – widely reported as, ‘like trying to land a fly on a speeding bullet’! The accomplishment of the engineers and scientists working on this mission is staggering. I was privileged to hear one of the chief scientists, who said that even when it was first dreamt up it was a pretty audacious plan, but that as they progressed they encountered hurdle upon hurdle, yet still landed the mission! It is one of those landmark moments in the history of space exploration, fit to join events like the Apollo 13 mission, that tragedy-turned-triumph that is still lodged firmly in the public perception of space. In fact, it is that very perception - of something so far removed from our everyday experience - that can make my job difficult to explain to outsiders, because most of what we do out there brings real everyday benefits and services down here on earth, like receiving a weather forecast, using satnav to find a new address, or simply switching on the television. 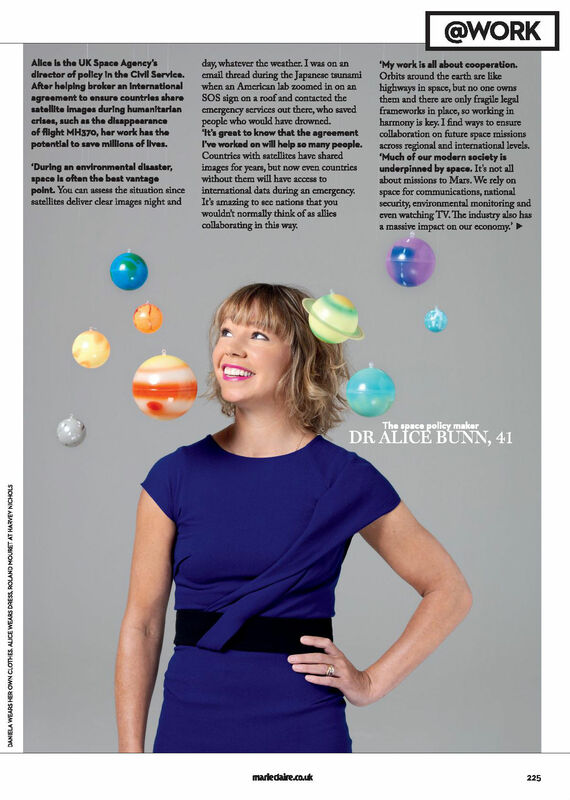 These programmes are a crucible for some incredible developments in science and technology. Recently, I was at a conference seeing some of the cutting-edge capability the European industry has developed for real-time video monitoring of our planet from space. What seemed impossible just a few years ago is now just around the corner. Things like environmental management, crisis response, driverless vehicles and remote communications stand to be transformed by the power of space technologies, and lifestyles previously the stuff of science fiction will become a reality. That’s why much of the last few weeks has been spent discussing the role space technology plays in our critical national infrastructure, and which is typically used in transport, health, emergency and financial services. It may be satellites that critically enable communications for emergency response, or satnav and timing signals that keep our transport programmes running, but the contribution of space technology is frequently quite invisible to the end-user. So, I spend a lot of time working with colleagues across Whitehall in different government departments, identifying dependencies on space programmes and working with partners to determine how we can get even more benefits from the investments we already make. This is a part of the job that I really enjoy. Gone are the days when civil servants focused on a single narrow remit. Today, it is all about getting out and talking to people and understanding how you can work more effectively together. I am always struck when I talk about our space programmes that it is not the staggeringly ambitious science missions to explore our universe themselves that draw the incredulous responses from listeners, but the fact that the programmes affect our daily lives in so many different, often imperceptible, ways. Highlighting that fact is one of the reasons I have written this blog! Rocket science is actually relatively straightforward, it's rocket engineering that's the tricky bit. Inspiring stuff. I wish I worked in UKSA. Any vacancies for lowly policy HEO? My son is joining DWP in 2016, with his physics degree. I've sent him a copy of your Blog to inspire him (one of his favourite, and well scored modules was Astrophysics!). It was only the theorietical maths for Quantum Mechanics which let him down - rocket science maths was a doddle... Hence he's joining the Statistics group.